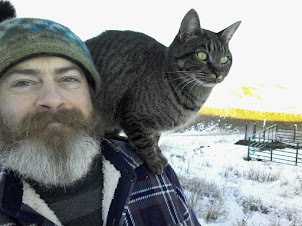 A local, sustainable smallholding farm in Lewiston, Idaho. Open to the public. Our focus at Hodapp's Berry and Dairy is providing fresh, wholesome, home made and grown on site products. These include raw goat's milk, and goat cheese from our small herd of happy Nubian and La Mancha goats. Pre picked and pick your own strawberries and strawberry products. Flowers and herbs. Fresh vegetables including tomatoes, peppers, greens, and herbs. Jams and Jellies, and other delicious products. 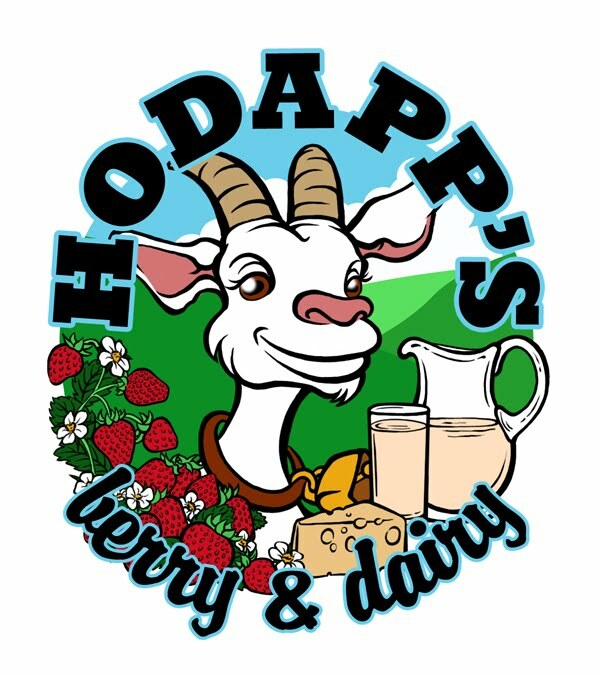 Hodapp's Berry and Dairy is closing down for the fall and winter season. There are currently no products available for sale at the farm store. If you would like to visit the farm, or organize a farm tour, please call Greg at 208-413-0015. Thanks everyone for a truly amazing first season! I hope to see our customers again next spring. More pictures and video of this past farming season to come soon. The stand at the moscow farmer's market will also be up for the next few weeks, and if wild mushroom season starts soon, then perhaps longer. Big love to the Palouse and the Valley in showing such interest and support! These are Seascapes, an award-winning variety. They are also Day-Neutral strawberries so berries will be available throughout the summer given proper weather conditions. The berry field is located down the hill from the farm store, follow the signs and watch your step as the ground can be uneven. In lieu of the start of pick-your-own season, and the beginning of full milk production we are also changing our hours. Starting this weekend May, 18th, 2018, we will be open EVERY DAY, from 8:00 am to 6:30 pm. That's right, every day. And along with this we have a new payment system at the farm store. Introducing our new SELF-PAY BOX for your convenience when we are not available to help you in person. Simply take your picking flats and pint boxes from the farm store, pick your berries from the field, then pick out whatever other products you want from the farm store shelves and fridges. Weigh out your by-the-ounce products (berries and cheeses) using the scale and price list by the register. Then tally up your products on a receipt, fold your cash or check payment into your receipt, and deposit it into the Self-Pay Box by the register. Directions are posted for your convenience. We are happy to take credit or debit card payments when we are around to help, as we are most of the time, but since we cannot take cards through the self-pay system at this time please have cash or check available just in case. What can you expect out of a day outing to Hodapp's Berry and Dairy? We've turned an old tractor trailer into our farm stand. Stocked with jams, jellies, chutneys, syrups, dried flowers, and of course raw goat's milk and a variety of cheeses. As well as in-season fresh veggies, and berries. Peruse our goods, taste some samples, take some time to sit out behind the farm stand and enjoy the sweeping vistas of the Lewis and Clark Valley and the clearwater river. The source of our delicious cheeses..
We raise Nubian and La Mancha goats. Well cared for, and friendly. Feel free to say hello to them, give them some scritches, and depending on the season say hello to our bottle fed baby goat kids. Kid goats are also available for sale in May. Starting May, 2018 we will be offering pick your own Seascape Strawberries- an award winning variety. We will also have pick your own flowers available, and depending on the season pick your own tomatoes, peppers, and cape gooseberries. Enjoy bringing in your own harvest on the sunny hillside of the clearwater river valley. Here at our farm we practice sustainable growing techniques designed not only to minimize our impact on the land, but to improve soil fertiliy and ecological biodiversity. Our promise to you is that NO chemical insecticides are used on our farm, sprayed or otherwise. Only organically certified crop applications are used in how we manage our insect pests. At Hodapp's Berry and Dairy we believe that soil should be treated as a living thing. Worked with, added to, and built up. We believe that natural systems can and should exist alongside and in tandem with farming. We believe that taking care of this little patch of earth, instead of merely utilizing it, is the proper way forward for us, and for our family.